Everything's aces when the horns start to blow! 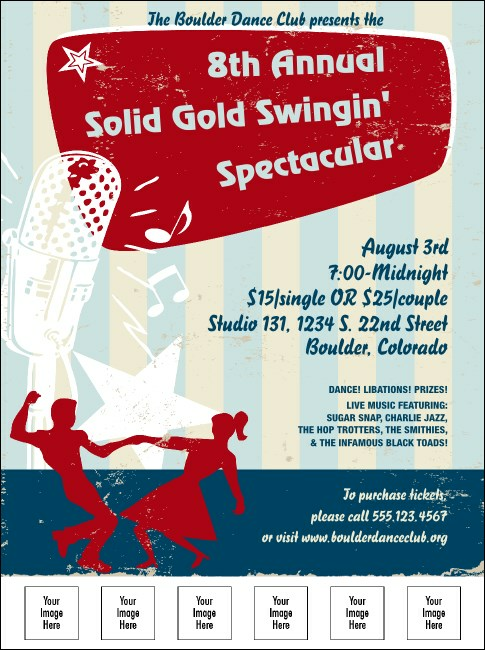 Dig this: a full color invitation for your next swing dance or big band show. Turn back the clock with the Swing Dance Flyer. Once they get their paws on this hot ticket, the joint will be jumping. Also, don't forget to add your sponsors with six spaces to upload your own images on the template. Juicy designs and hep service make TicketPrinting.com the place to be!